DECEMBER 27--Meet Meagan Harper. The Oregon woman recorded a whopping .55 blood alcohol content reading after police found her passed out last month in a car parked outside a pizza joint. 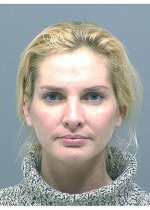 The 30-year-old Harper, who has several prior drunk driving convictions, yesterday appeared in a Clackamas County court, where a judge set her bail at $50,000. 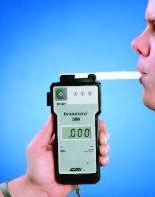 At the time of her arrest, Harper was taken to an Oregon hospital, where her BAC was measured at nearly seven times the state's .08 limit. Considering her clear eyes and alert appearance, it seems that the below mug shot of the 5' 11', 130-pound Harper was taken after she sobered up.